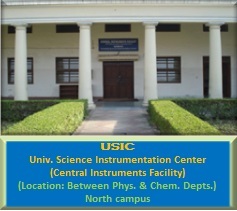 University Science Instrumentation center (USIC) is a central facility and houses sophisticated analytical instruments. 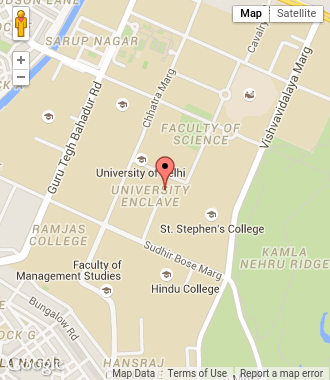 Its main objective is to provide services to all researchers and students of science departments in the University and the constituent colleges of the University of Delhi. Facilities for carrying out spectral, thermal, chemical and microstructural analysis on a variety of materials are extended to all researchers. A centralized liquid nitrogen distribution facility is maintained for all science departments, and all requests for customs duty and excise duty exemption for imported items are processed. Training programs and workshops/seminars are organized regularly for laboratory staff and research scholars in focused areas of materials characterization and analysis. Board and information is sent to Faculty members for nominating their students.